Apparently, this has been around for a while, but it is new to me! Adafruit's Circuit Playground "simplifies electronics reference & calculation so you can have more fun hacking, making, & building your projects!" This app is designed for both iPhone and iPad. 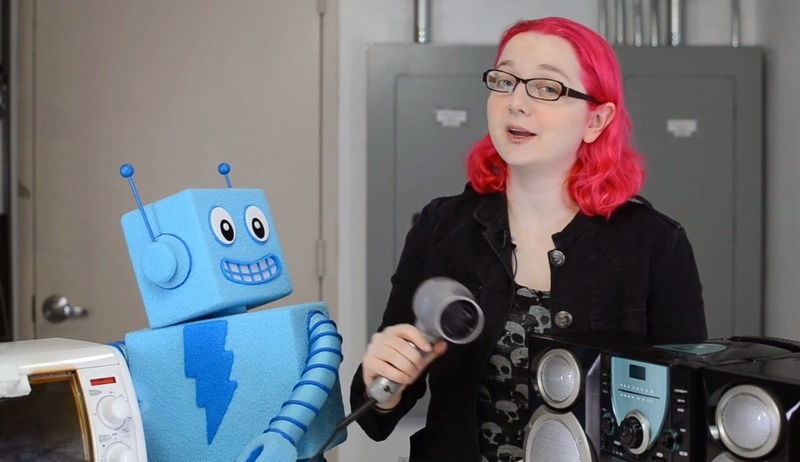 To go along with the app, Adafruit has started an educational YouTube series for kids. I found it fairly useful for my own limited electronics background plus it's something short and sweet I can use with my middle school students (or maybe younger...) The series is co-hosted by a puppet named Adabot and Adafruit founder Limor Fried. It's clear, if a bit cheezy, and whenever Adabot says "accessing database"there are some interesting facts & animations on the way! 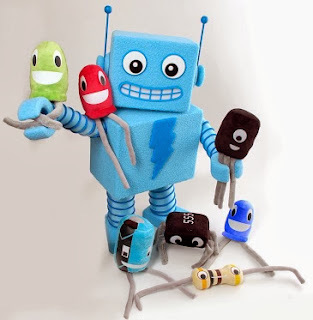 Here's Circuit Playground Episode 1: "A is for Ampere"
Circuit Playground Episode 2: "B is for Battery"
If you are wondering.. C is for Capacitor, but it doesn't appear to be published just yet. And, apparently, you can get matching plushies! If you want to read more about these cuddly components, check out this blog post.